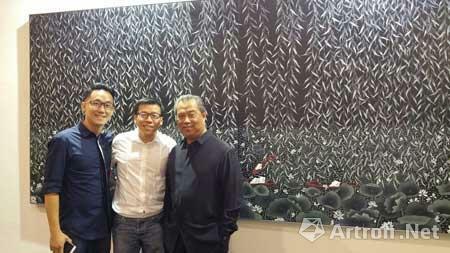 This is the 9th year of Art Expo Malaysia. It is held at MATRADE Exhibition and Convention Centre from September 10 to 13 , Which attracts more than 70 galleries and organizations from 30 countries. The number of the artworks on the exhibition are more than 2000, which contains paintings , sculptures, installation art and photography works. The Art Expo Malaysia is the largest exhibition at Malaysia and also is the longest history exhibition in Southeast Asia. 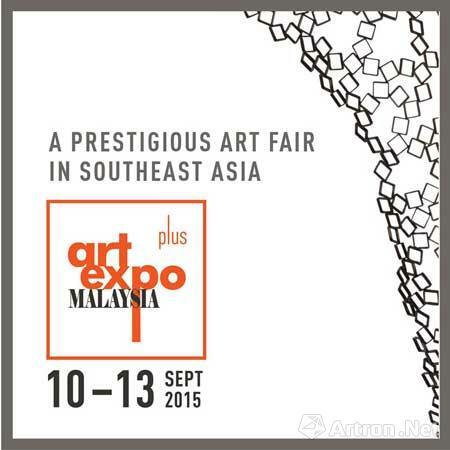 From the first year 2007 till now, the Art Expo Malaysia is free for everyone. This initiative aims to promote the artistic appreciation and ethos of collection in this region. For the higher level, this is also a exchange giant feast of different culture. The producer of the Art Expo Malaysia Shen Baoren said : As an international art platform, the Art Expo Malaysia not only generalizes the artists and galleries from Malaysia to the world, but also introduce the high quality artworks from other countries to Malaysia. Besides, it is our purpose to promote the artistic appreciation and ethos of collection in our country. We hope to make the Kuala Lumpur an art trade intersection in Southeast Asia. 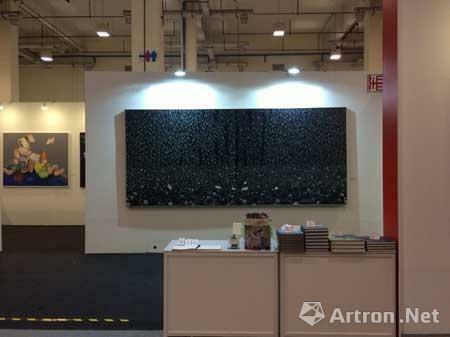 As the frequenter of Art Expo Malaysia, Mr. Sanzi still takes apart in this year’s exhibition. The works from Mr. Sanzi in this year’s exhibition will contain the popular classical works which as <West lake nocturne>(160*320cm, Mixed media on Canvas) and some new works which as < The eulogy of pear flowers>(120*270cm, Mixed media on Canvas). The combination of new works and early time works, which exhibit the change of Mr. Sanzi’s creative style and idea. During the Exhibition, the Chairman of Malaysian Chinese chamber of commerce, the Malaysia's former vice prime minister Y.A.B.Tan Sri Dato' Haji Muhyiddin bin Mohd.Yassin and some other Important guests bring congratulations to Mr. Sanzi’s exhibition. Because of the busy work plan, Mr.Sanzi did not take apart in the opening ceremony of the exhibition, which makes the exhibition less splendid, it is also a big pity for the fans. However, After several times of invitation from Malaysia. Mr. Sanzi decided to put off other works and to take apart in the exhibition at the last day. He want to explain his works for his fans. Actually, except Mr. Sanzi’s excellent skill, we should also pay more attention at what he want to tell us through his works. The theme of his works is Taoism, which is a philosophical theory, rather than a religions thought. Mr. Sanzi once said that, everything has its place, we should follow the natural law. Everything will fell from its pinnacle. But the religion Daoism teach us to be immortal. It is disobedient to the natural law. Mr. Sanzi’s works want to express the Taosim philosophical idea, the relationship between the humans and nature. The thought of life. 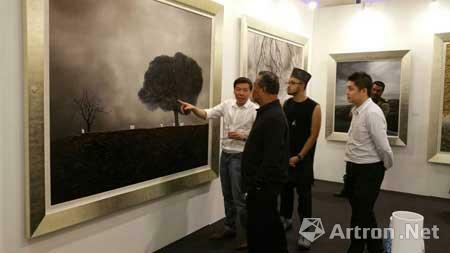 The Art Expo Malaysia is one of the most important art platform in Asia. Mr. Sanzi hope to show the Taoism theory to all the world through this platform.